Before MS Dhoni was named the captain of Indian cricket team back in 2007, Indian cricket was not in a good state. The Indian team were knocked out of the 2007 World Cup in the first stage and they lost many series as well. Then came the inaugural T-20 World Cup and three star experienced players - Sachin Tendulkar, Sourav Ganguly, and Rahul Dravid - withdrew from taking part in this competition. 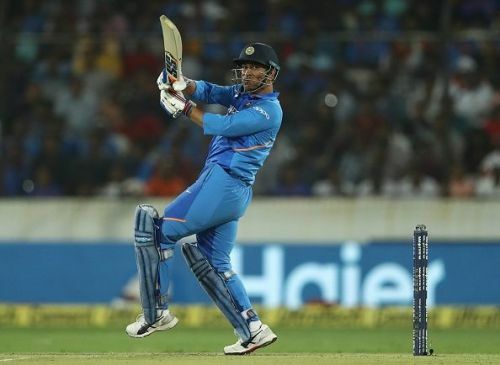 The team was left with a unit of young lads and the team's management took an unorthodox decision and appointed MS Dhoni as the captain of the team. To their surprise the Indian team emerged victorious and MS Dhoni went on to become the most successful captain for Team India. During his tenure he took some brave and unusual calls which ultimately benefited the team. Whether it was an on field call regarding the bowling option or the off field call of including any player in the team, they all helped India to give some fruitful results. Ishant Sharma had a dream start to his career. The tour to Australia in 2008 announced his arrival to international cricket with a bang. That dream spell to Ricky Ponting in the Perth test and that whole Commonwealth Bank series adjudged him as the front line bowler which India needed. But as years rolled by, Sharma soon lost his rhythm. His economy rate was deeply hurt and wickets had also dried up. Selectors even dropped him a few times but MS Dhoni insisted on having him in his team. After he got some stability, he is now a permanent member in the Test squad of the team. In 184 international matches, he has 253 wickets under his belt. MS Dhoni, the ODI Captain or the T20 Captain: Whose Impact on Indian Cricket has been greater?